I'm feeling a little bit like Franklin (one of the characters featured in the Peanuts Comic Strip atop this entry). As you can see he claims that he leads "a very active Tuesday." My the past few Tuesdays have also been very active, hence, I have not been able to offer a post (ever since 2-27-2018) for my long running Tuesday's Truths series here on Blogger. 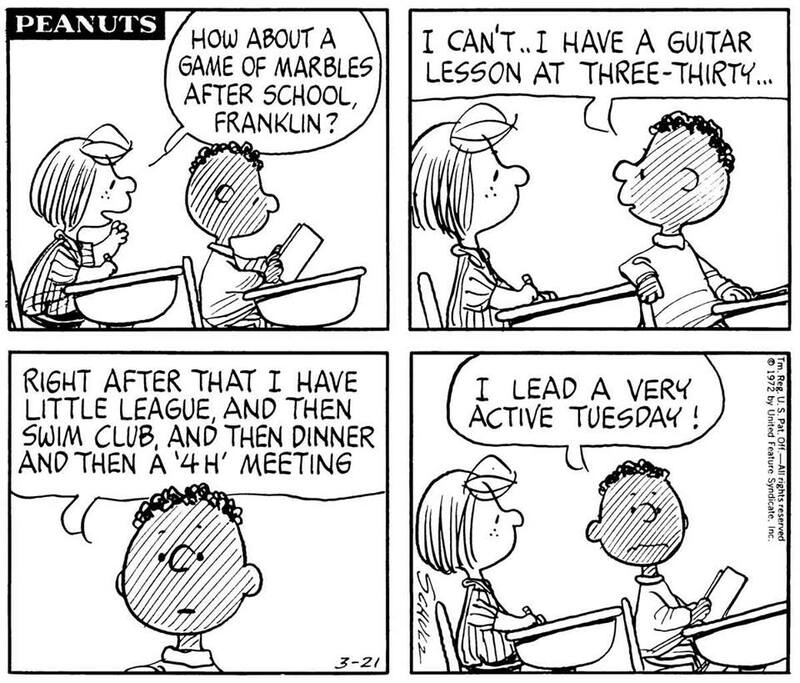 However, unlike Franklin, my Tuesdays have not been filled with fun activities such as his (guitar lessons, Little League games, as well as swim club and '4 H' meetings). Rather, I've been wiped out with a pesky and very nasty cold! Today I seem to be on the mend and I hope to return to my regular blogging schedule in the coming days! Please Stay tuned!